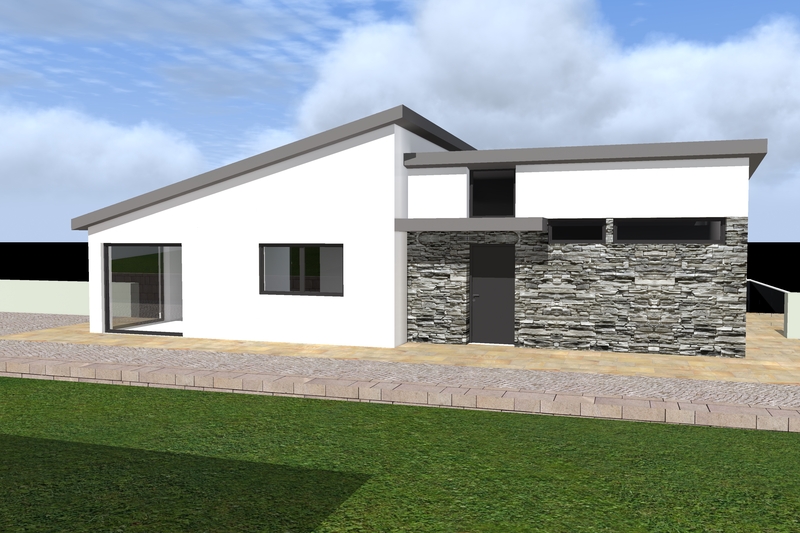 New split level house proposed for this site in County Cork. 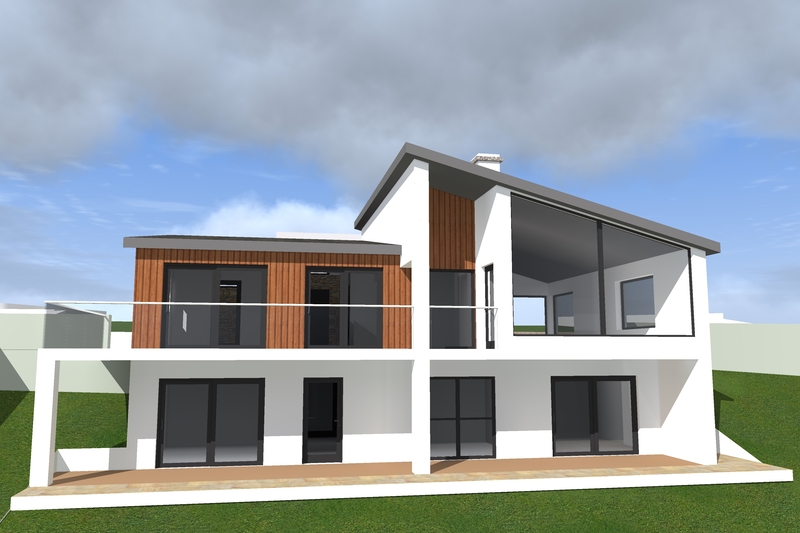 With magnificent views to the rear of the house towards the sea our design maximised the views and natural light. We kept the front of the house very simple and privacy was also very important due to its location on a very busy road. We positioned the bedrooms to the lower rear sections to allow access to the gardens and reduce the noise from the traffic.